Governor John Kasich signed Ohio's medical cannabis bill into law on 8 June, making it the 25th state (26 if Washington, D.C. is counted) to allow some form of medical cannabis use. Ohio's measure is more restrictive than medical cannabis bills in many other states. It does not allow patients to smoke cannabis -- they must ingest it orally via edible products, or use a vaporizer. It doesn't allow patients to grow their own cannabis and only a handful of conditions, including epilepsy, chronic pain and cancer, qualify for a medical cannabis recommendation. Medical cannabis advocates had launched a campaign to let voters decide on a broader medical cannabis bill this fall. But the bill approved by legislature and signed by Governor Kasich was intended to stave off more permissive ballot measures. And it appears to have been successful: the group pushing for the ballot initiative recently suspended that campaign. This year has been a symbolically significant year for medical cannabis policy: with the passage of legislation in Pennsylvania and Ohio nearly 175 million Americans -- over half of the population -- now have access to medical cannabis. 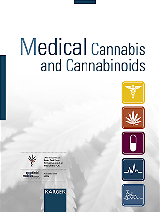 The first study on the characteristics of patients with Health Ministry permission for treatment with medical cannabis was revealed on 25 May at the Sixth International Jerusalem Conference on Health Policy. The study was led by Prof. Pesach Shvartzman of Ben-Gurion University of the Negev. The study carried out to observe new patients using the drug for two years. The patients were observed at three pain clinics and were interviewed by phone during the first three months of their treatment and then every four months for two years. 321 non-cancer patients and 78 cancer patients were included. The mean age of the non-cancer patients was 50.1 years and of cancer patients 57.5 years. 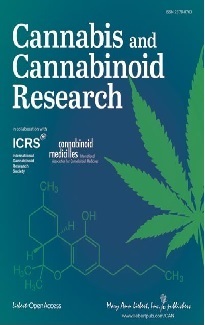 99.6% applied for cannabis treatment after conventional medications were not effective. Nearly 56% said they wanted it because the previous drugs caused side effects. Three-quarters of patients smoked the cannabis, while nearly 21% used concentrations in oil and the rest via vaporization. Most of the users reported that their pain, nausea, anxiety, appetite and general feeling had improved. Fewer than one in 10 stopped taking the drug after the first interview and 6% after the second interview because of side effects and because the treatment was not effective. Other than being at an increased risk of gum disease, people who smoked cannabis for up to 20 years during adulthood were generally as healthy as people who did not use it, according to a new study. "The only measures that seemed to indicate any really serious health problem was periodontal disease," said senior author Terrie Moffitt, of Duke University in Durham, North Carolina. For the new study, the researchers studied 1,037 people born in New Zealand in 1972 and 1973. Participants were tracked from age 3 to age 38. Overall, about 65 percent reported using cannabis at some point after age 18, according to the results in JAMA Psychiatry. The researchers did not find a link between cannabis use in adulthood and poor physical health for a number of conditions, including lung function, systemic inflammation, metabolic health, blood pressure and body mass index (BMI), which is a measure of weight in relation to height. According to an intensive search in internet forums many patients with attention-deficit/hyperactivity disorder (ADHD) consider cannabis as therapeutic in their condition. According to a survey most paediatric oncology providers support patients' access to cannabis therapy. Results were presented at the 2016 annual meeting of the American Society of Clinical Oncology. Investigators from various US cancer treatment centres surveyed 654 paediatric oncology providers, including physicians and nurses, at three cancer centres in Illinois, Massachusetts, and Washington. Over 300 providers (46 percent) completed the survey. Of those, 92 percent said that they were "willing to help paediatric cancer patients access medical marijuana," and just over one-third (34 percent) acknowledged that cannabis therapy "is appropriate in the early stages of cancer treatment." Among 575 women infected with HIV and HCV (hepatitis C virus) THC was not associated with progression to significant liver fibrosis. Alcohol use was associated with liver fibrosis. In a study with mice a combination of opioids and cannabinoids synergistically reduced nerve injury induced allodynia (a certain form of neuropathic pain). University of Sydney at Royal North Shore Hospital, Australia. In studies with mice activation of TRPV2 (vanilloid type-2 receptors) by CBD significantly increased doxorubicin uptake and apoptosis (programmed cell death) in triple negative breast cancer cells. Wexner Medical Center, The Ohio State University, USA. Past-year prevalence of cannabis use disorders among US adolescents declined by an estimated 24% over the 2002 to 2013 period. Washington University School of Medicine, St. Louis, USA. In a placebo-controlled, parallel-group study with 68 patients suffering from neuropathic pain after spinal cord injury the endocannabinoid palmitoylethanolamide (PEA) was not effective in pain reduction and spasticity. Spinal Cord Injury Centre of Western Denmark, Viborg, Denmark. The legalization of cannabis cultivation and trafficking prevent crimes such as murder and assault or accidents due to bad quality. These human rights outweigh the UN drug conventions that prohibit cannabis cultivation and trafficking. This is the conclusion of a study conducted in 27 larger municipalities and led by Piet Hein van Kempen, a professor of criminal law of Radboud University in Nijmegen. China Medical University School of Forensic Medicine, Shenyang, China. Cell studies suggest that cannabidiol (CBD) could be exerting its anticonvulsant effects, at least in part, through its actions on certain cell membrane channels (voltage-gated sodium channels) and resurgent current may be a promising therapeutic target for the treatment of epilepsy syndromes. Neuroscience Research Building, Indianapolis, USA. In a study with 12,069 pregnant women cannabis exposure alone was not associated with significant adverse outcomes before, during and after birth, including preterm birth and birthweight. In a study with shrews (Suncus murinus) activation of the CB2 receptor reduced nausea and vomiting. In a study, which used data from the 2013 National Survey on Drug Use and Health of the USA, adults who use medical and recreational cannabis shared some characteristics, but those who used medical cannabis had higher prevalence of poor health and daily cannabis use. In a study with 16 cows the intake of linoleic acid reduced the number of CB2 receptors and decreased enzymes, which produce endocannabinoids. Agricultural Sciences and Natural Resources University, Sari, Iran. In a case series with five cannabis-dependent subjects the cannabis extract Sativex was helpful in reducing withdrawal symptoms. Researchers investigated the mechanisms that underlie neuroprotection by the CB2 receptor in germinal matrix haemorrhage in rats. Germinal matrix haemorrhage is bleeding into the region of the developing brain, where nerve cells and glia cells are produced. Third Military Medical University, Chongqing, China. So-called ABC transporters do not reduce the uptake of cannabidiol (CBD) into the brain. These transporters are known to reduce the uptake of several other medicinal drugs into the brain. Brzozowska N, et al PeerJ. 2016 May 26;4:e2081. Several mechanisms of the anti-inflammatory effects of CBD were found, including a reduction of T helper 17 cells (Th17),which are pro-inflammatory T helper cells producing interleukin 17 (IL-17). In a group of 70 cannabis users and 17 people, who had used synthetic cannabinoids, who were admitted to hospitals, overdoses of synthetic cannabinoids caused significantly more severe adverse effects on the nervous system and the heart compared to cannabis. A review of the literature shows that alcohol and cannabis act as both substitutes and complements. Policies aimed at one substance may inadvertently affect consumption of other substances. Alcohol Research Group, Emeryville, USA. Endocannabinoid signalling in a certain brain region (dorsal periaqueductal grey) influences the tone of the autonomic nervous system and heart rate in rats. Medical College of Wisconsin, USA. Research in mice support the hypothesis that the endocannabinoid system may be neuroprotective in Alzheimer’s disease and this effect was established prior to the onset of clear clinical cognitive symptoms of the disease. Faculty of Medicine, University of the Basque Country, Leioa, Spain.